This is our 4th iteration of the Mac’s/Circle K Flip the Lip Contest, which continues to grow in size and popularity every year! 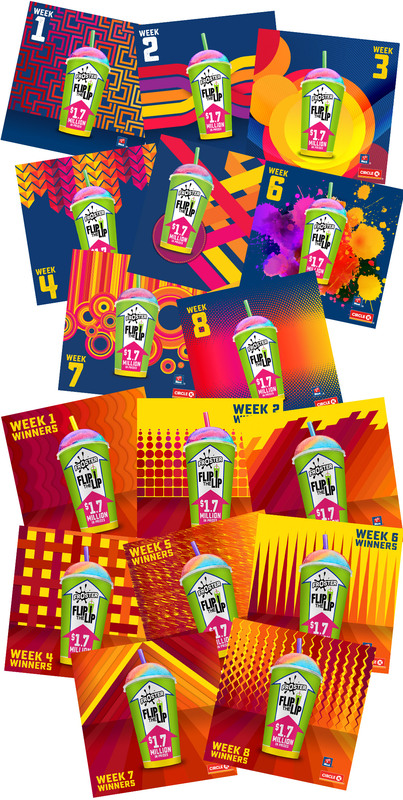 Over 2.4 million bright green Froster contest cups were printed — each with either an instant win prize, or an online entry code that gave participants a chance at larger weekly prizes. 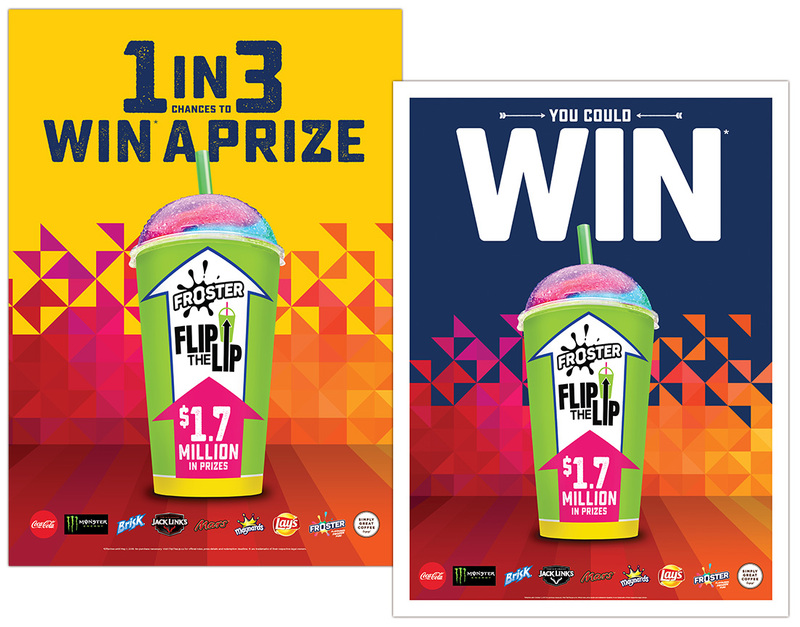 With thousands of entries every day during the contest, Flip the Lip continues to be an enormous success! 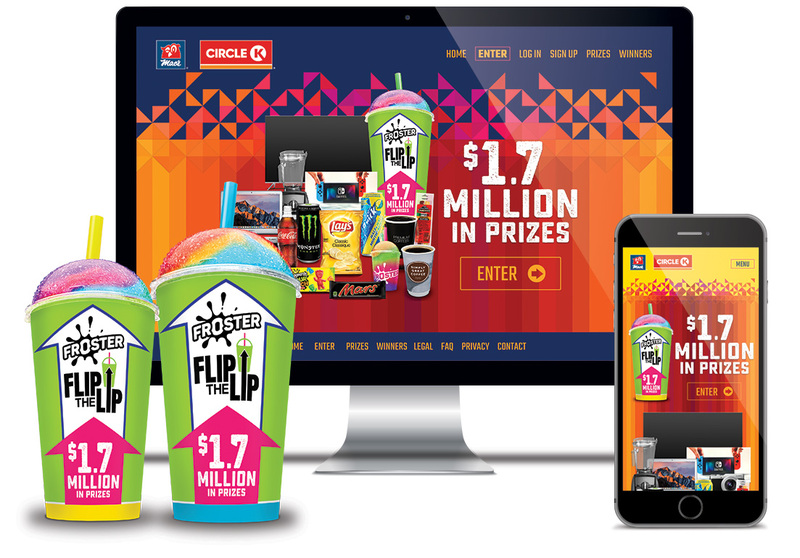 SIX12 created extensive in-store and exterior POP (Point of Purchase) materials, the responsive contest microsite with full database, the custom printed contest cup, and an intense cross-platform social media campaign. We also provided statical reports, code generation, customer service, and prize fulfillment throughout the contest period.